We quickly popped in Ikea yesterday to get some stuff for the kitchen and while I was wondering around the storage area, I chanced upon these hat racks. I only own one hat so why not use these racks as an open closet instead. 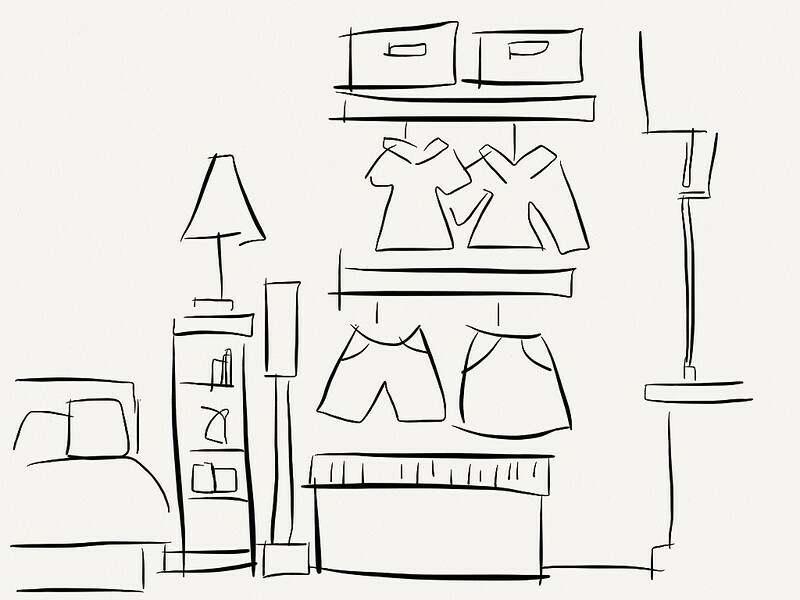 I did a quick sketch and voila, I have now my open closet!